"If I Were a Boy" is a song by American R&B singer Beyoncé Knowles, written by Toby Gad, BC Jean and Beyoncé Knowles for her third solo album, I Am... Sasha Fierce. The song "If I Were a Boy" is a pop and R&B introspective ballad which draws influences from folk rock through its instrumentation of which includes acoustic guitars, drums and strings. The song's lyrics lament the misunderstandings between the genders and indict the male side of relationships. 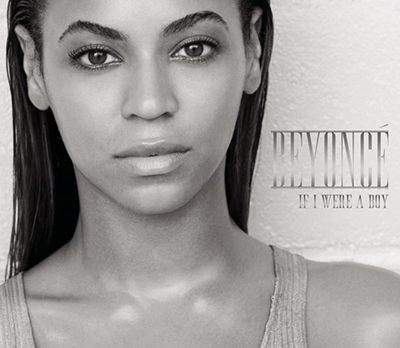 "If I Were a Boy" was well received by critics, who complimented Beyoncé's tormented and emotive vocal performance and called the song her best work to date. "If I Were a Boy" peaked at number three on the US Billboard Hot 100 chart and earned multi-platinum certifications in Australia, Canada, and the US.